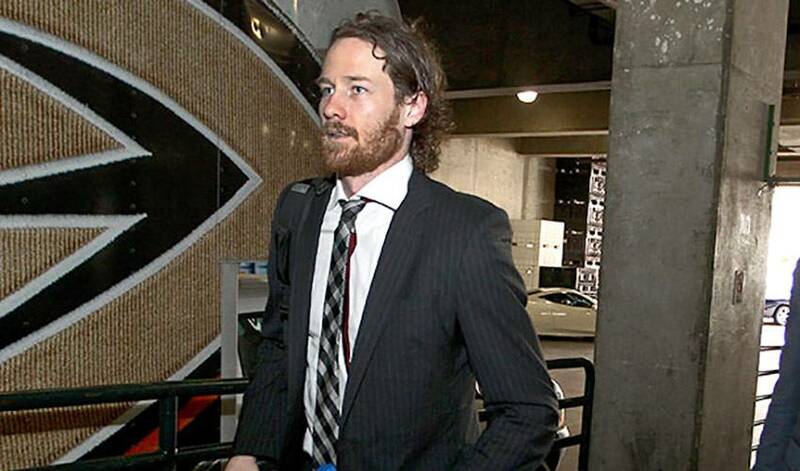 Duncan Keith makes a return visit to the NHLPA’s PPOTN after a brilliant Game 6 performance against Anaheim that saw the Chicago defenceman record three assists and also play a little goaltender, when he swatted the puck away from the goal line. The two-time Norris Trophy winner’s trio of assists in the 5-2 triumph came on goals scored by Brandon Saad, Marian Hossa and Patrick Kane. Keith now has 14 assists in the playoffs, second only to Anaheim’s Ryan Getzlaf. STAT PACK: Keith led all players with 28:35 of ice time, blocking four shots, earning a plus-three, while taking 32 shifts. He saw 4:04 on the power play and 2:54 on the penalty kill. NEED TO KNOW: Keith is now just one point away from tying his career playoff mark of 17 points (2G, 15A) in 2009-10, when the ‘Hawks won the Stanley Cup. A REAL PLUS: Keith has a lifetime +29 rating in the playoffs. TROPHY CASE: In 2005-06, Keith played in his NHL rookie season. Four years later, he won his first (the second came in 2014) James Norris Memorial Trophy as the top defenceman and won the Stanley Cup. He won the Cup again with the ‘Hawks in 2013. Keith also struck gold with Team Canada at the 2010 Winter Olympics in Vancouver and the 2014 Winter Olympics in Sochi. FAN FRIENDLY: The veteran blueliner made a young fan’s dream come true through his team’s #WhatsYourGoal initiative. HONOURABLE MENTIONS: Patrick Kane had one goal and an assist for the Blackhawks. Andrew Shaw had a pair of goals in the win. Brandon Saad scored his fifth of the post-season.